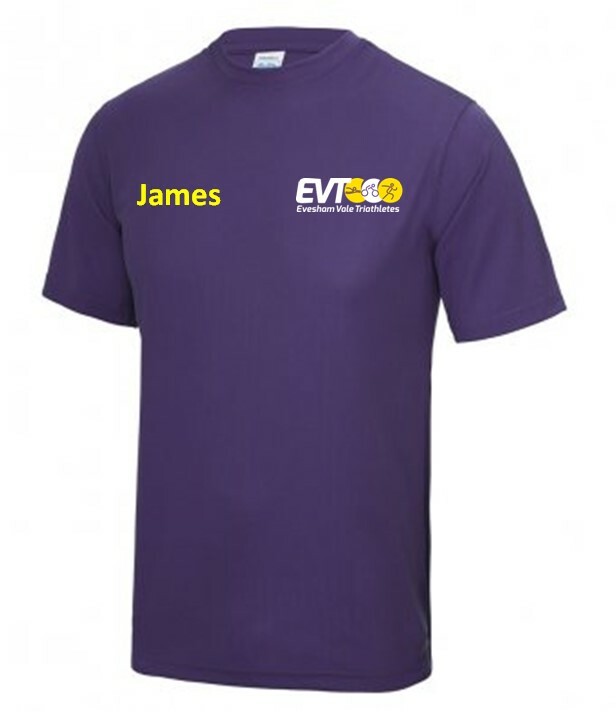 Evesham Vale Triathletes Men's tshirt personalised with the EVT club logo printed on the front left chest and name on the rear. EVT logo on the rear. Available in unisex senior and junior sizes.